Drought relief for Nevada and California is not in the cards according to the Climate Prediction Center at least through December. NOAA’s National Climate Prediction Center shows the drought “persisting or intensifying over California and Nevada through the end of 2014. The description above seem mild considering the map that accompanies the explanation. If the winter of 2014-15 turns out to be as dry as 2013-14, our lakes and rivers will be severely impacted again as human uses will take a larger share of the available water leaving little for instream flows. Continued dropping of water levels at Pyramid Lake and Lake Tahoe and reservoirs is expected. Will the Climate Prediction Center prognostication actually happen? Or will the weak El Niño surprise us with something big as winter approaches. It has happened before, but we are going to need more than one or even two excellent water years to make up for the losses we’ve seen in western Nevada over the past 14 years. 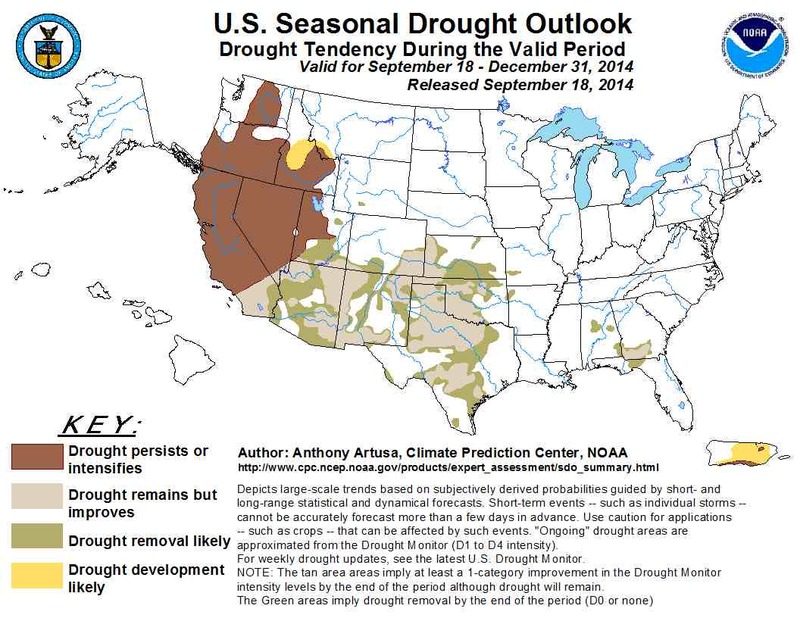 We in the west find ourselves in a long-term drought of 14 year duration and a warming climate. Gambling that we’ll be bailed out of our excessive water use by a heavy snow year may not turn out to be a good strategy. 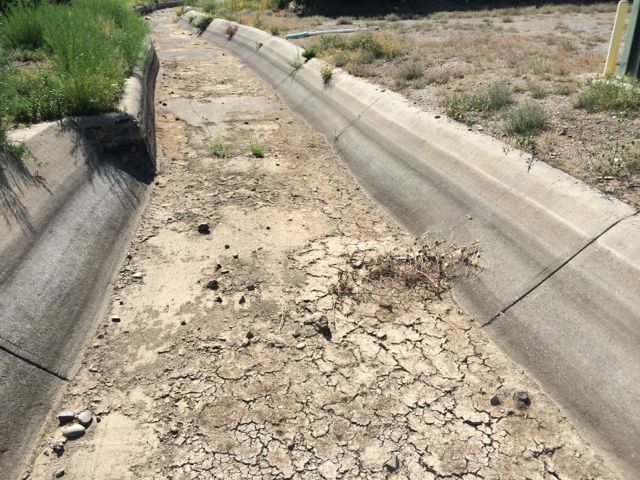 The Truckee River does not have enough water to meet water rights in the Truckee Meadows. Area ditches like the Highland Ditch shown here have effectively been dry now for more than 6 weeks. TMWA has had to release stored water from its reservoirs to supply its customers. This entry was posted in Fish and Wildlife, Keep it flowing, Recreate on September 19, 2014 by Dennis Ghiglieri.